I love, love, love this timer. I was first introduced to it through The Art of Education when they were hosting a giveaway about a year ago. I didn’t win the giveaway, but I loved the idea of this timer so much that I purchased one for my classroom. This is probably one of the best classroom purchases I’ve ever made. I set it at the start of class (and if I don’t remember, my students are eager to remind me), and it allows students to monitor class time on their own, without having to ask how much time they have left. A couple of years ago, when I was out on maternity leave, my fabulous sub read this book at the start of the school year. I hadn’t previously heard of it, but I was so grateful to her for having read it to my students. 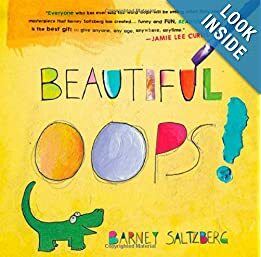 For the rest of the year, anytime students made a “mistake,” their peers were quick to remind them that they could turn it into a beautiful oops. Unfortunately, when my sub left, she took the book with her, but I was sure to pick up my own copy for my classroom. For more art room books must-haves, check out this list from The Art of Education. Remember these? I picked a couple Etch A Sketches up years ago at TJMaxx for my classroom (one of them has since been stolen). I was shocked by what a hit these were. Students who aren’t normally into art love drawing on these. There is always a fight over the one Etch A Sketch in my classroom, which is why I used some PTO funds to purchase some more this year. If you can, you should definitely get a couple of these. They make great “I’m finished!” activities. You’ll be amazed by what the students can produce. I once had an elementary student who was capable of very accurately replicating buildings in the community on an Etch A Sketch. Without the aid of a photo. In under 20 minutes. Needless to say, his peers and I were blown away. In fact, his mom informed me that an Etch A Sketch was the only thing he had asked for for Christmas. Want to see some amazing Etch A Sketch artwork? Check out this artist, Bryan Etch (I know this artist, and I can tell you from personal experience that he throws some fab parties). 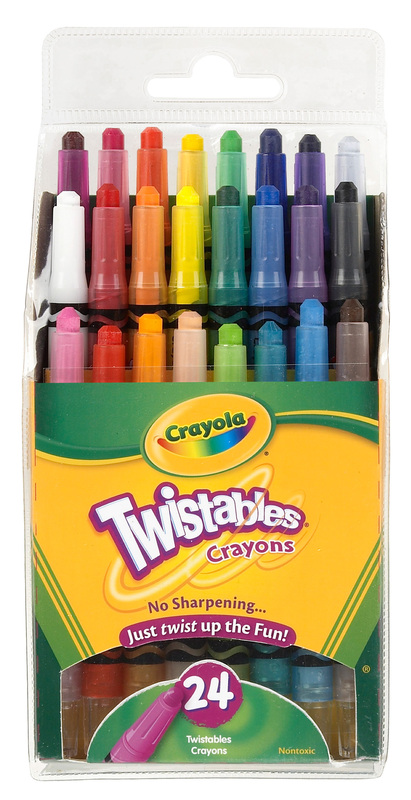 Not to be confused with teacher pens. I know some of you don’t mind sharing pencils with the students, and you probably think it’s just easier that way. Good for you. I need my own pencils (hello, germs! ), and I need them to be easily identifiable as mine. I picked up this set from Anthropologie, but you can find funky pencils anywhere. Or make your own. I half expected my special pencils to go walking, but I was pleasantly surprised when they never did. In fact, I only went through two of these last year! How awesome is that? Anytime I misplaced my pencil, or left it on a table, students were very quick to return it to me. I make a big deal about never starting class without my pencil, so my students are always helping me keep track of it. I don’t actually use these in my classroom, but I’m thinking about it. We have these at home, and they are great for my two-year old. She is intense when it comes to crayons with paper wrappers. She will sit there and peel off every little bit of paper from her crayons. And if she can’t get the paper off, guess who gets stuck doing it? I picked up a pack of Twistables for a long car trip, and I haven’t looked back. No more peeling paper! So there you have it. A few of my favorite classroom items. What are your must-haves in your classroom? Are there any products that you just can’t live without? No need to reply! Just enjoy your baby and know that I love the idea for getting the Etch a Sketch for the art room. I'm always looking for new ways to engage the “early finishers” in my classroom and this looks like a winner! As soon as I saw your post I knew I wanted to buy the Time Timer. What a great idea!! But when I went on Amazon there were a bunch of reviews saying it was a cheaply made and broke very easily or quickly. It's very expensive, and I don't mind spending the money if it's as awesome as it looks, but I'd love to hear your thoughts on the quality. I love my double-size glue sticks. The little ones seem to be gone in a class or two…the large Elmer's sticks are great. Dixon Ticonderoga Tri-Write pencils. Can you believe that they dulled, but never broke all year long? I used maybe 40 for the entire school for a year. Unbelievable. 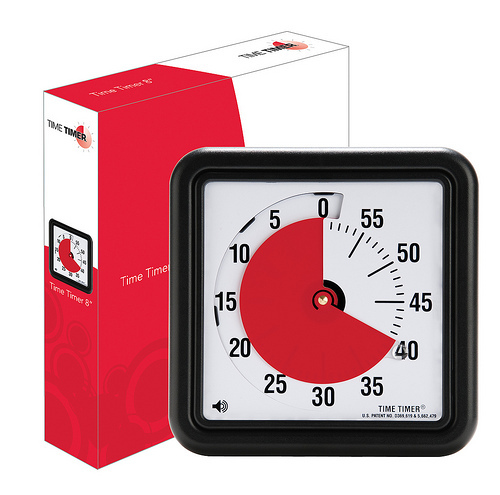 Thanks for your shares… I am looking into buying the large timer… it sounds like just what my teen class and I need! My students all have multiple exceptionalities, and range in ages from 13 to 21, with ability levels from grade 1 up to maybe grade 9, but they ALL struggle with tracking time on analog clocks and figuring out how much time they have left for things. Wow! Wow! Wow! What a great blog. I need the time timer for myself, let alone the kids!!!! I would love it if you would take a look at my blog!